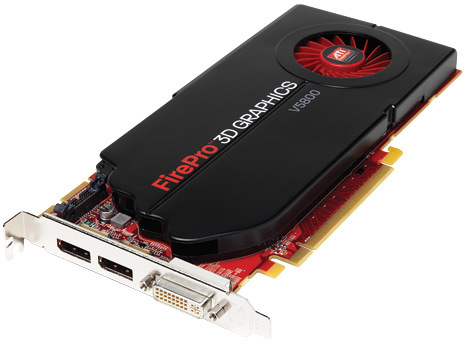 Following the launch of the ATI FirePro™ V8800, the industry’s most powerful professional graphics card ever created, AMD today introduced new additions to its next-generation ATI FirePro™ family – ATI FirePro™ V7800, ATI FirePro™ V5800, ATI FirePro™ V4800, and ATI FirePro™ V3800 – offering professionals in the digital content creation (DCC) and Computer Aided Design (CAD) industries advanced performance and features at every price point. AMD also announced the ATI FirePro™ 2460 Multi-View, a low profile, quad display graphics solution designed for financial institutions. These latest ATI FirePro solutions are expected to be available from HP, CDW, New Egg, Tiger Direct and other online retailers. 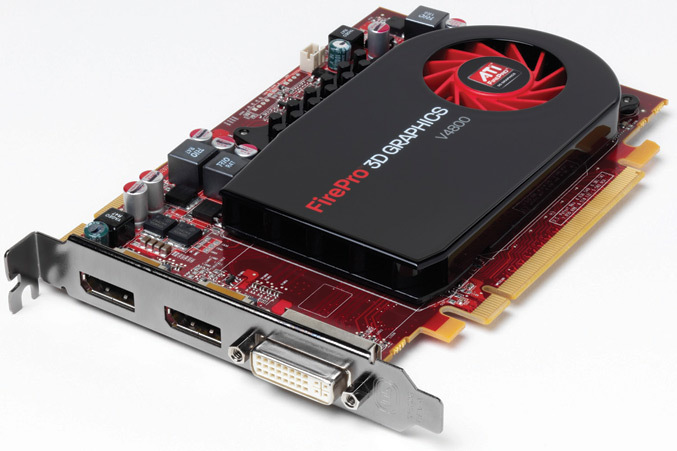 The next generation of the ATI FirePro family of professional graphics cards is designed to meet the specific needs of each market segment. The cards have been tested in real-world scenarios to help ensure compatibility and stability for certification with many leading software applications. Each card supports Microsoft® DirectX®11, OpenGL® 4.0 and OpenCL™ along with ATI Eyefinity technology – providing professionals with the ability to expand their display resolution for increased productivity. High-end: With 2GB of GDDR5 memory, the ATI FirePro V7800 offers superior performance capabilities and visual quality1 in a compact single slot form factor. Its massively parallel architecture can handle computationally or visually demanding applications without negatively impacting performance. With ATI Eyefinity technology, professionals can drive up to three independent 30” displays at one time. Entry-level: The ATI FirePro V4800 features 1GB of GDD5 memory and delivers 1.25X the performance capability compared to the previous generation,6 with outstanding results for entry-level CAD users, all at value level pricing. 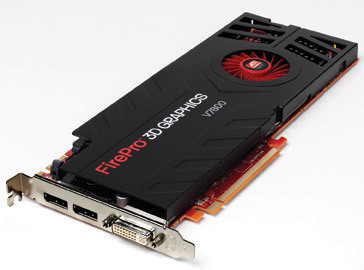 With 512 MB of DDR3 memory and a 30-bit display pipeline7 that offers accurate color reproduction and exceptional visual quality, the ATI FirePro V3800 brings dramatic performance and up to three display support through ATI Eyefinity technology to entry-level 3D graphics professionals. The ATI FirePro 2460 Multi-View is a low profile, quad display graphics solution designed to improve the visual experience for financial traders while simultaneously helping to reduce power and cooling costs for some of the world’s largest financial institutions. With an average board power consumption of 13W, ATI FirePro 2460 is designed to meet the performance and productivity requirements of enterprise environments without increasing the power consumption needs of users while offering the capability to support multi-monitor ATI Eyefinity technology.